R is for Rube Goldberg | True story. Really. Posted on April 21, 2016	by True story. Really. For the uninitiated, a Rube Goldberg machine is a device that is designed to do something relatively simple in a very (very) complicated way. You can get more information OK Go’s collaboration with Synn Labs in the making of this machine and the video here. And you can get more information on more Rube Goldberg machines here. 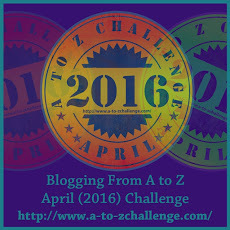 This entry was posted in Challenges, Videos and tagged #atozchallenge. Bookmark the permalink. An entertaining music video. I didn’t know that it was called a Rube Goldberg machine, though I’ve seen the device used in many movies and TV shows. Good luck with the rest of the AtoZchallenge. Glad you enjoyed it! Thanks for coming by, and good luck to you too.